Kates Mountain Clover, (Trifolium virginicum) is one of only three clovers that are native to Virginia. First discovered on Kate’s Mountain in West Virginia in 1892 by botanist, John Kukel Small, this plant is known to exist only in four states and in a very specific habitat. In all four states it is listed as threatened or endangered, and the site of its northernmost home in Virginia is now at risk. Kates Mountain Clover thrives in the challenging conditions of a Piedmont Mafic Barren. These barrens are comprised of exposed bedrock heavy in iron and magnesium. Often they are located on a steep slope as well. The surface supports mosses and lichens, with crevices collecting organic matter deeply enough to give vascular plants such as Kates Mountain Clover a toehold. Globally imperiled, there are only ten of these sites that have been documented in the world, and all of them lie within the Virginia Piedmont. Combined acreage of these ten sites amounts to less than 25 acres. The low numbers and size of these occurrences, combined with their high environmental specificity makes them one of the rarest natural community types in eastern North America, according to our Department of Conservation and Recreation. Kates Mountain Clover is another rare and threatened plant which has not yet been studied for its wildlife associations. Will we get the chance? This species is a perennial with a subligneous (slightly woody) crown, holding on to its precarious position with a thick root which is not stoloniferous. The tough root helps the plant survive the desiccated environment by extending into the more solid rock below. However, the adverse surface conditions, including high temperatures, act to restrict germination and successful establishment of new plants. The stems are prostrate and pubescent (covered with short, soft hairs). The leaves are of a palmate formation, and each narrowly oblong leaflet, between 2-7 cm, is from 3 to 7 times as long as it is wide. The leaves are marked with white on the topsides, and have small hairs below. The flower heads are 2-3 cm wide, creamy white with purple veins, held on elongated petioles. The bloom period is from May to June. Legumes follow, 1-3 seeded and ovoid-oblong in shape. 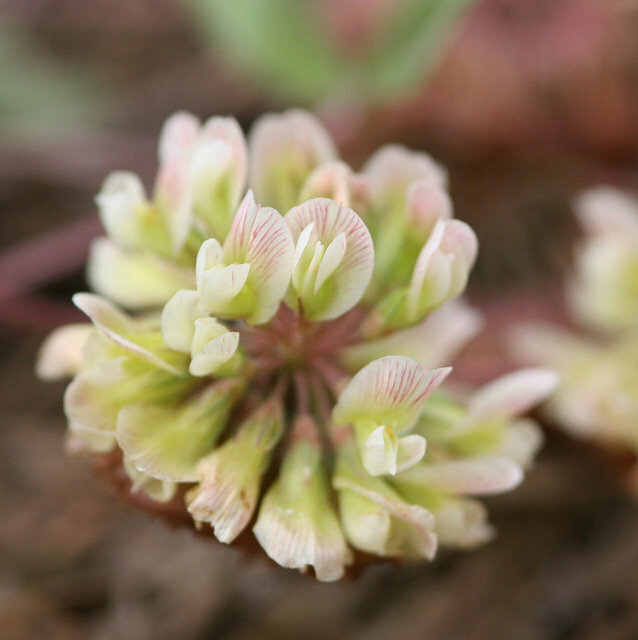 Some have speculated that Kates Mountain Clover may have entered the shale barren region by way of a western or northwestern route in advance of the Pleistocene glaciation, and it’s possible that it is a derivative of Buffalo Clover, Trifolium reflexum. Populations today are small in both number and location. 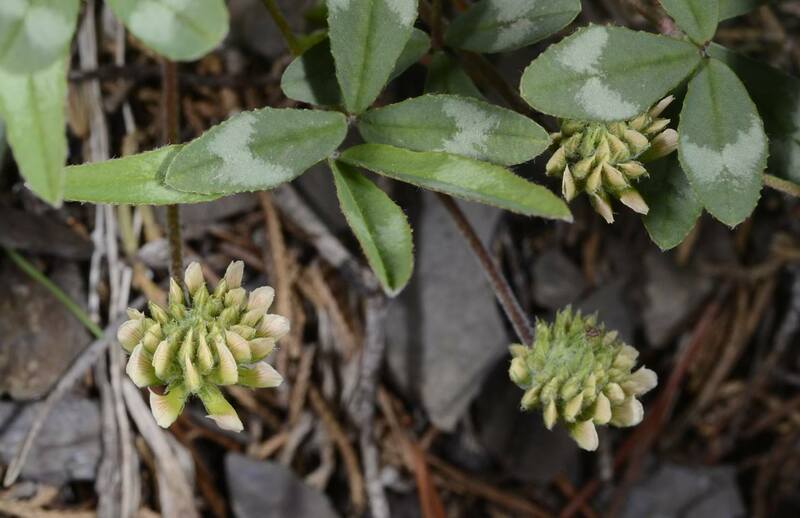 Threats to continued existence of Kates Mountain Clover include competition from exotic weeds, foot traffic, loss from quarrying, and oh, yes, also Data Center Developments. Weakley, A.S., J.C. Ludwig, and J.F. Townsend. 2012 Flora of Virginia. Bland Crowder, ed. Foundation of the Flora of Virginia Project Inc., Richmond. Fort Worth: Botanical Research Institute of Texas Press. NatureServe. 2018 NatureServe Web Service, Arlington, VA. It is encouraging to read that people under 20 are educating the Board of Supervisors about the importance of preserving soil , controlling growth. Land use law and practices need to be updated to reflect advances in geology and biology. We certainly agree! Thanks for taking the time to comment.